This was a far, far cry from Snow Crash (which I read and loved some 12 or 13 years ago, by the way). It could've been so intense, so epic, so full of both hope and despair mixed together. Instead, it just completely fell flat for me. 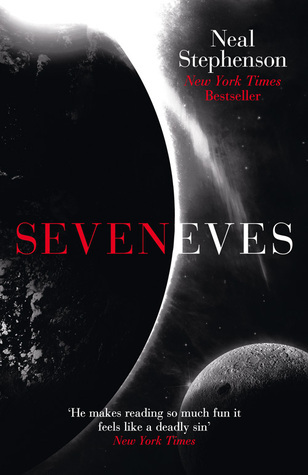 Sign into Goodreads to see if any of your friends have read Seveneves. Yes! How on Earth can THIS and "Snow Crash" be written by the same guy? Did he forget how to create compelling characters and lost his sense of humour? He tells, tells, tells and tells some more...the idea of the seven un-diluted races is completely improbable, when something could possibly happen "on screen" (finally!) the books ends. Utterly disappointing. Oh dear... I've been looking at this one one my shelf for ages, telling myself I should read it soon. But I'm having a hard enough time getting through this 306 page Atwood. And I don't know if that's on me or the book. I think I've read "Snow Crash" in one shot, couldn't put it down. I started "Seveneves", stopped for quite a few weeks, started again, just because I'm stubborn. Thought "something may actually happen" and then it ended.